"It was a great victory. The atmosphere here in Nimes is crazy. The pitch was terrible," Tuchel told beIN Sports. 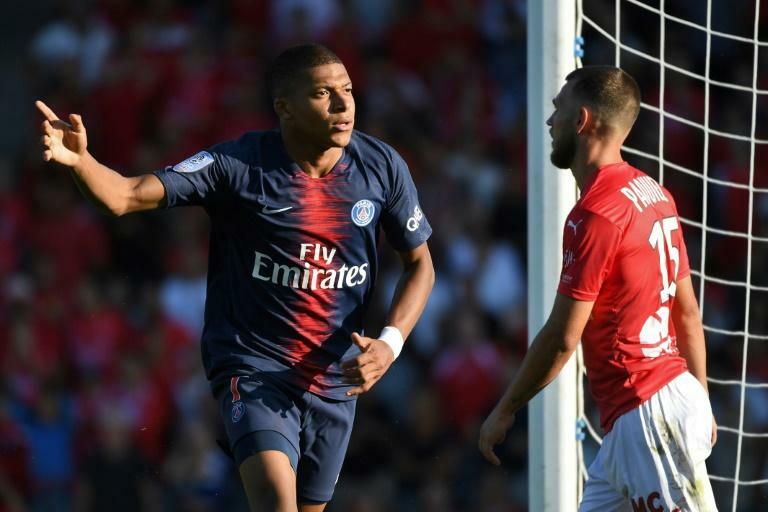 "If I had to do it again, I would and I would apologise to all the supporters and to everyone," Mbappe said, claiming the initial challenge by Savanier "doesn't belong on a football field". Neither player featured here, however, and Tuchel's other summer recruits, Gianluigi Buffon and German defender Thilo Kehrer, started on the bench. Nicknamed the "Crocodiles", Nimes bit back after the restart as substitute Antonin Bobichon sent a first-time shot high into the top corner in the 63rd minute, and they were level soon after. Thiago Silva's clumsy, late challenge on Theo Valls was not initially spotted by referee Jerome Brisard but he gave a penalty after consulting with the Video Assistant Referee, new in Ligue 1 this season. With PSG on the ropes, Mbappe rescued them 13 minutes from time as he controlled Presnel Kimpembe's long ball forward and blasted home on the volley. All that was missing was a goal from the other member of Tuchel's all-star front line and Cavani duly delivered at the death as he converted from a Julian Draxler assist. 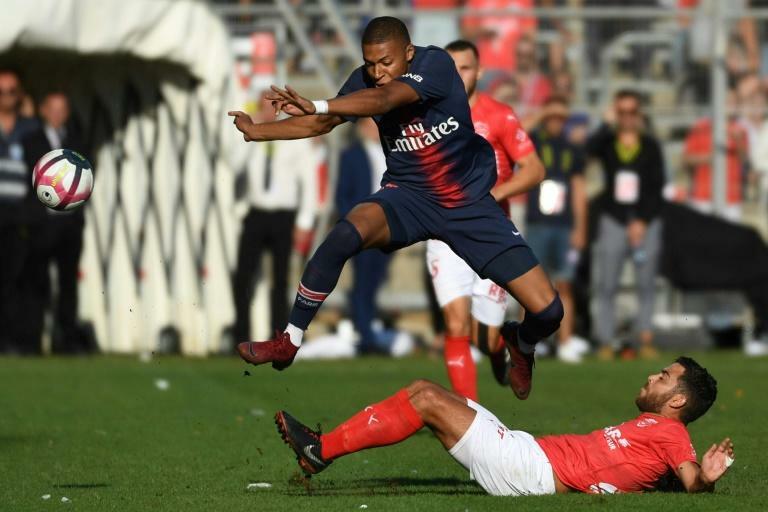 Mbappe marred his and his team's afternoon, though, when he violently shoved Savanier to the floor in anger at a foul by the Nimes player, as both teams ended the game with 10 men. The 19-year-old, who could previously do no wrong this summer, will now definitely miss PSG's next Ligue 1 game against Saint-Etienne. Monaco host Marseille on Sunday, while Lyon were beaten 1-0 at home by Patrick Vieira's Nice on Friday.